Stricken suddenly with apoplexy, Mrs. Charles B. Peelor died at her home in Madalin shortly before 5 o'clock Thursday afternoon. She had been in apparently good health. Throughout the day she had been attending to her household duties as usual. She had been alone, her husband being away on account of assisting the factory representative who was in town, and did not get home until after 2 o'clock. She was found on the floor upon his return, having fallen there shortly before his arrival. She was seen a short time before by the window. Found her on the 1870 Cicero, Onondaga, New York census (img 23) as Mary Yates age 32, Keeping House. Found her on the 1940 Green Cove Springs, Clay, Florida census (dist 10-1 img 33) as Mary Jane Rowland age 71. Albert Carnright died at the village of Saugertles, in this county, on the 4th day of August, 1916, leaving him surviving as his only heirs at law and next of kin, John F. Carnrigbt, Albert Carnright, Cornelia S. Carnrigbt, Florence S. Davis, John A. Snyder, Sarah E. Snyder, James M. Carnright, George F. Carnright, Olive McLean, Charles Carnright, Matte E. Finger, Bertha Carnright and Martha R. Lewis, all of whom are nepbews or nieces and reside in the village of Saugertiea, except James M. Carnright, George F. Carnright and Olive McLean, who reside in Red Hook, N. Y. and Martha A. Lewis, who resides In Newark, N. J.
Decedent was about 74 years of age at the time of his death, and for a long number of years immediately prior thereto was a director and president of the Saugertles Bank and a trustee and president of the Saugertles Savings Bank, spending his forenoons in the former and his afternoons in the latter. The Kingston Daily Freeman December 18, 1916. Found him on the 1870 Saugerties, Ulster, New York census (img 37) as Albert Carnright age 27. He is single and living at home. Found him on the 1900 Newton, Catawba, North Carolina census (dist 46 img 19) age 40, farmer. Found her on the 1860 Ghent, Columbia, New York census (img 66) as Lillie Cornell age 2 months. Found him on the 1930 Ypsilanti Ward 2, Washtenaw, Michigan census (dist 48 img 8) as Ross E. Driscoll age 16, usher, theater. Found him on the 1880 Milan, Dutchess, New York census (dist 44 img 1) as Albert Fingar age 10, At School. Found him on the 1910 Milan, Dutchess, New York census (dist 56 img 6) age 40. There is no wife listed but his mother Mary age 65, is living with the family. Lee Jamison Fingar, a 41-year Darien resident, died Tuesday, July 17, following a battle with cancer. He was 73. Mr. Fingar is survived by his wife, Helen Lassila Fingar, two daughters, Diane Christine Fingar of Ann Arbor, Mich., and Erica Lee Fingar, of Marietta, Pa., two sisters, Jane Fingar Branigan of Darien and Carol Fingar Maloney of New Hope, PA, as well as four grandchildren and seven nieces and nephews. 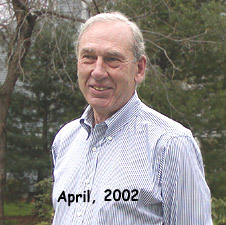 Lee was the driving force and organizer behind the very successful Finger/Fingar Family Reunion in 2003, which was appreciated by all in attendance. Found him on the 1940 New Castle, Westchester, New York census (dist 60-200 img 20) as Lee Jamison Fingar age 6. Family 1 : John ANDERSON Jr.
Found him on the 1910 Oyster Bay, Nassau, New York census (dist 1131 img 17) as Alexander Finger age 7. Found him on the 1920 Oyster Bay, Nassau, New York census (dist 75 img 42) as Alexander Finger age 17, machinist, railroad. Found her on the 1850 Subdivision 31, Knox, Tennessee census (img 4) as Catherine Isabelah Finger age 5. Found her on thr 1870 Knox, Tennessee census (dist 15 img 19) as Catherine Finger age 23. She is living with her widowed mother Peggy Finger age 64 and her sister Rebecca Finger age 21. Found her on the 1880 District 15, Knox, Tennessee census (dist 158 img 1) as Cathrine I. Finger age 28. Also in her household are her sister Rebecca Finger age 23, and Rebecca's children Isaac L. Finger age 5 and Sarah J. Finger age 4. Found him on the 1920 Bell, Alachua, Florida census (dist 27 img 1) age 6. Found him on the 1930 Lakeland, Polk, Florida census (dist 28 img 31) age 16, living with his brother Diamond. There's joy along the Sage building corridor this week over the district bulletin received by Assistant Supt. Ernest Finger of the Catsklll office of the Prudential Insurance Co., who with his corps wrote $100,000 in ten days. Writing from Kingston, Supt. J. E. Mahar says: "Big work done by the Catskill staff in special ordinary effort. They set a new pace in the work accomplished, and end it in a blaze of glory with over $100,000. All hats off to Assistant Finger and the men who have done things! ... Assistant Finger traveled 686 miles; worked eighteen out of the twenty four hours each day, on the road to Brooklyn, Albany, Schenectady, Catskill Mountaln towns, but he won out. Congratulations to the Catskill men on their big week." - The Recorder March 27, 1914. Found him on the 1880 Catskill, Greene, New York census (img 16) as "Infant", age 4 months, born Feb.
Found him on the 1900 Catskill, Greene, New York census (dist 73 img 19) as Ernest Finger age 20. He is married and they are living with his parents. On his WWI draft registration card his birth date is 22 Jul 1880. Based on the births of his children, he must have moved from Tennessee to Florida between 1904 and 1909. Found him on the 1870 Roane, Tennessee census (dist 4 img 28) as James F. Finger age 3. Found him on the 1880 District 10, Blount, Tennessee census (dist 193 img 15) as James Finger age 12. Found him on the 1910 Fort Myers, Lee, Florida census (dist 79 img 3) as James Finger age 42, farm laborer. Found him on the 1920 Fort Myers, Lee, Florida census (dist 107 img 12) as James F. Finger age 50, laborer, citrus grove. Found him on the 1935 Precinct 11, Lee, Florida state census as James F. Finger age 67, farmer. Found him on the 1790 Livingston, Columbia, New York census (img 2) as Jeremiah Finger. Found her on the 1900 Militia District 481, Bibb, Georgia census (dist 10 img 10) as Josephine Finger age 20, single living at home. Louis Finger, 81, of Main Street, Saugerties, died Friday at Mt. Vernon Hospital, Westchester County after a brief illness. A native of West Camp, he was a son of the late Almerion and Laura Mower Finger. Prior to retirement about, seven years ago, he was employed by North American Cement Co. Catskill for many years. Surviving are his wife, the former Matie Carnright; a daughter, Mrs. Clarice F Bell of Bronxville; a son, William of Newburgh; a sister, Mrs. T. V. Gardner of Bloomsbury, N. J ; a brother, Howard Finger of Jane Street, Saugerties; also three grandchildren and one greatgrandchild. Funeral services will be held at Hartley A Lamouree Funeral Home, Main and Second Street, Saugerties Sunday at 3 p. m. Burial will be in Mt. View Cemetery. Found him on the 1880 Catskill, Greene, New York census (dist 74 img 15) as Louis Finger age 2. Found him on the 1900 Catskill, Greene, New York census (dist 73 img 19) as Lewis Finger age 21, single, living at home. Found him on the 1910 Saugerties, Ulster, New York census (dist 164 img 2) as Lewis Finger age 32, machinist, cement mills. He and his family are living with his wife's widowed father Ezra Carnright. On his WWI draft registration his occupation is listed as Engineer, Alpha Portland Cement Co. (1918). Found him on the 1920 Saugerties, Ulster, New York census (dist 202 img 15) as Lewis Finger age 41, engineer, const worker. Found him on the 1930 Saugerties, Ulster, New York census (dist 51 img 35) age 51, driver, steam shovel. Address: 386 Main Street. Found her on the 1900 Civil District 1, Warren, Tennessee census (dist 136 img 25) age 5. Found her on the 1910 Civil District 9, Warren, Tennessee census (dist 181 img 14) as Luclil Finger age 15. Found her on the 1920 West Nantmeal, Chester, Pennsylvania census (dist 40 img 4) age 9 months. Found her on the 1900 Newton, Catawba, North Carolina census (dist 47 img 10) as Lucy Fry age 18. Found her on the 1910 Newton, Catawba, North Carolina census (dist 32 img 13) as Lucy Fry age 28, single, teacher, grade school, living with her widowed mother. The informant on her death certificate is Mrs. N. L. Biggs, Greensboro, North Carolina. Unknown if she is related. Found him on the 1930 Iron Station, Lincoln, North Carolina census (dist 7 img 2) as John Glenn age 7. Found her on the 1892 Washington, Dutchess, New York state census (E.D.02 img 1) as Anna M. Morris age 53. Found her on the 1920 Stanford, Dutchess, New York census (dist 76 img 12) as Ann M. Morris age 81, widow. She is living in the household of her son and daughter-in-law Frederick and Emma Morris. Found him on the 1920 Elmira Ward 10, Chemung, New York census (dist 44 img 6) as Ira E. Hibbard age 29. Machine operator, factory. Found him on the 1920 Cherokee, Spartanburg, South Carolina census (dist 86 img 29) as Aubrey Lee age 6. He is living with his widowed mother Carrie Lee Finger age 25 in the household of her mother Alice Finger age 45, widow. Found her on the 1910 Meramec, St. Louis, Missouri census (dist 124 img 8) as Mimie Hutsell age 28. Has given birth to 2 children, 2 are living. Carolina census (img 7) age 12. Found him on the 1880 Newton, Catawba, North Carolina census (dist 47 img 19) as C. S. Simmons age 29, merchant. Found him on the 1900 Conover, Catawba, North Carolina census (dist 45 img 6) as Cicero S. Simmons age 49, farmer. Found her on the 1930 Newton, Catawba, North Carolina census (dist 26 img 38) as Bertha D. Finger age 29. Will of Alexander Stoll, of Saugerties. Will dated April 26, 1889. Witnesses Edgar Snyder and John A. VanEtten. The following are the devises and bequests: To a nephew, Morgan A. Stoll, farm of 50 acres in the town of Woodstock and $100; to a nephew, Alexander A. Finger, $1,400; to a sister, Maria Finger, household furniture and $100. All the rest of the property to the nieces, Emeline Mann, Jane VanSteenburgh, Viola Lewis, Minnie VanEtten, Maggie VanBuskirk, Melissa Lewis, Mealine Logendyke and Mary B. Buckner, Charles Van Buskirk and Emerick Lewis were appointed Executors. Found her on the 1910 Salina, Onondaga, New York census (dist 87 img 15) as Dina F. Van Antwerp age 2. Found her on the 1920 Salina, Onondaga, New York census (dist 98 img 16) as Dena R. Van Antwerp age 11. Found her on the 1930 Salina, Onondaga, New York census (dist 182 img 10) as Dina Van Antwerp age 22, single, living at home. Found him on the 1900 Chester, Wells, Indiana census (dist 138 img 15) as Joseph H. West age 36, oil driller. Found him on the 1910 Justice Precinct 7, Hardin, Texas census (dist 31 img 11) as Joseph H. West age 46, laborer, oil company. Father, mother born Kentucky. Found him on the 1930 Bloomingdale, Van Buren, Michigan census (dist 10 img 9) as Joseph H. West age 67, farmer. Father born Kentucky, mother unknown. Found her on the 1870 Township 3 Range 2, Tippah, Mississippi census (img 14) as M. L. Wiggs age 5. Found him on the 1880 Buffalo, Erie, New York census (dist 167 img 21) age 18.